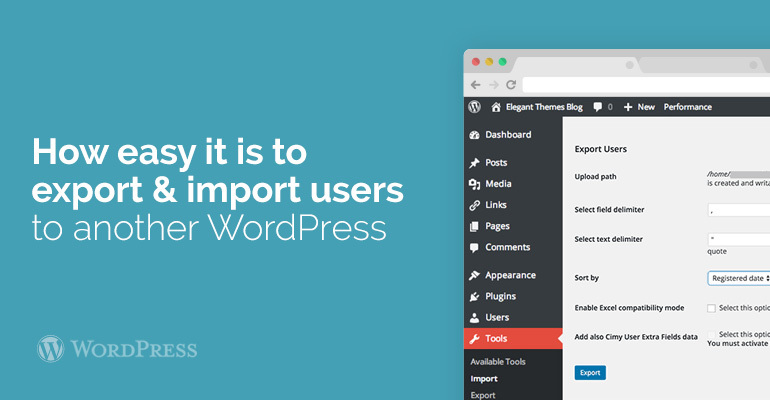 If you are the owner WordPress site and want to import and export users from one page to another, you’ve come to the right place. Combining sites and automatically update users find it very right. Our experts will tell you how to effortlessly export and import WordPress site users. 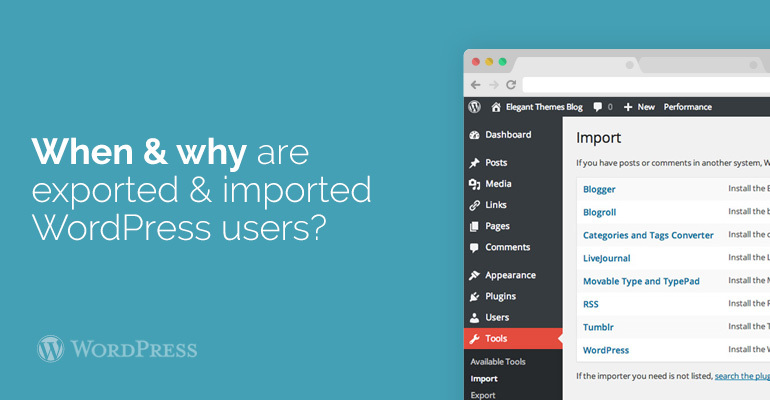 When and why are exported and imported WordPress users? 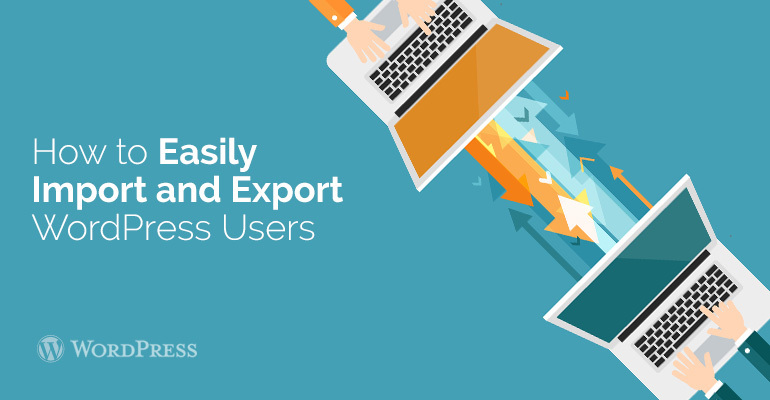 There are several options how to export and import WordPress users. We will talk about three of the most basic options. The owner wants to make one of the two sites and add user base. The owner of the site wants to import users in an online mailbox or CRM. Each profile in the multi-author website has useful information for users. This can be: cover photo, the information on the page, social networks and so on. How easy it is to export and import users from one another WordPress site? The first thing to do is to export the users to install, and then activate the plugin user Cimy. To do it right, you need to read more detailed instructions on installing WordPress plugin. Once the plugin is activated, it will be necessary to go to the user profile and scroll down until you see “Export Users”. In the plugin it will be seen as something to be loaded and confirm that it is writable. This is the place where you saved the custom export CSV file. Commas are used to separate fields, and as a text separator will act quotes (this is the default action plugin). If the holder wants to use a CSV file in another location, but will need to change all values. Alternatively, you can leave everything as it was. After that you need to do is sort of user names, mailbox address and the number of messages. If you open a CSV file via Excel, then click on the button “Enable” so the program can read the file. Once you’re done, be sure to click on the button “Export”. The plugin will automatically begin to export all the data WordPress user, then the CSV file will be saved on the server. To save the file on your computer, finished, click “Download”. After this procedure, you can successfully import the file. To import users also need Cimy plugin. In the same way as for the export we see that it is properly installed and activated. Then the user selects in the CSV file, create a user option. In the post will be notified about the parameters to be sent to new users of credit card details and passwords for the current users. And after that import and upload the file. Seems you did not register purchase code for How to Easily Import and Export WordPress Users to be able to create a topic on this forum.